Get some cultural insight at Shrine of Remembrance and National Gallery of Victoria. Escape the urban bustle at Royal Botanic Gardens and Melbourne Zoo. There's lots more to do: see the interesting displays at Melbourne Museum, enjoy breathtaking views from Eureka Skydeck 88, take a stroll through Degraves Street, and enjoy unforgettable views with a balloon tour. For other places to visit, reviews, ratings, and tourist information, go to the Melbourne online trip itinerary maker . Cape Town, South Africa to Melbourne is an approximately 20.5-hour flight. The time zone difference when traveling from Cape Town to Melbourne is 8 hours. Expect a bit cooler weather when traveling from Cape Town in April: highs in Melbourne hover around 23°C, while lows dip to 11°C. 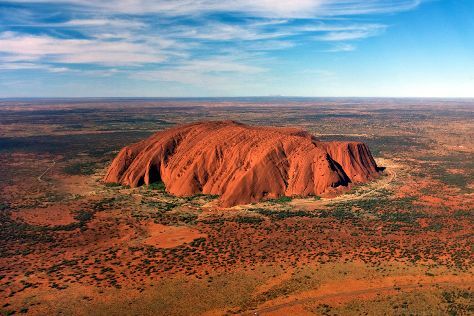 Wrap up your sightseeing on the 8th (Mon) to allow time to travel to Uluru-Kata Tjuta National Park. Your cultural itinerary includes sights like Walkatjara Art and Uluru. Get in touch with nature at Kata Tjuta and Uluru Hiking Path. There's much more to do: get engrossed in the history at Uluru-Kata Tjuta Cultural Centre, take in the pleasant sights at Lungkata Walk, get outside with Walpa Gorge, and trek along Kuniya Walk. For more things to do, traveler tips, maps, and more tourist information, refer to the Uluru-Kata Tjuta National Park online trip itinerary builder . Getting from Melbourne to Uluru-Kata Tjuta National Park by flight takes about 5 hours. Other options: drive. Traveling from Melbourne in April, things will get somewhat warmer in Uluru-Kata Tjuta National Park: highs are around 34°C and lows about 17°C. Finish up your sightseeing early on the 11th (Thu) so you can travel to Jabiru (Kakadu National Park). Jabiru is a town in the Northern Territory of Australia. Visiting Yellow Water and Mamukala Wetlands will get you outdoors. 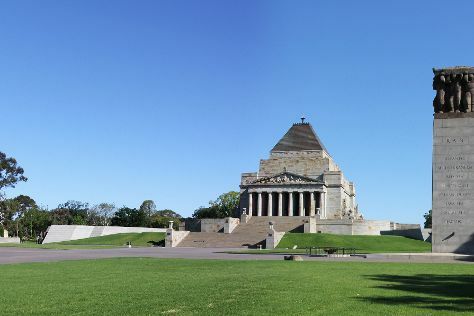 Do some cultural sightseeing at Warradjan Cultural Centre and Bardedjilidji Walk. There's lots more to do: don't miss a visit to Ubirr, steep yourself in history at Nourlangie Rock, and identify plant and animal life at Mamukala Billabong. To see more things to do, ratings, where to stay, and more tourist information, read Jabiru (Kakadu National Park) day trip planner. Do a combination of flight and bus from Uluru-Kata Tjuta National Park to Jabiru (Kakadu National Park) in 9.5 hours. Alternatively, you can drive; or do a combination of flight and car. Cap off your sightseeing on the 14th (Sun) early enough to travel to Port Douglas. Escape the urban bustle at Safaris and Scuba & Snorkeling. Give yourself a bit of retail therapy at Des Spencer Galleries and With Sugar. Explore Port Douglas' surroundings by going to Thornton Beach (in Thornton Beach) and Myall Beach (in Cape Tribulation). The adventure continues: admire all the interesting features of Hartley's Crocodile Adventures and see the vivid underwater world at Opal Reef. To see other places to visit, maps, where to stay, and other tourist information, use the Port Douglas route builder tool . Do a combination of bus, flight, and shuttle from Jabiru (Kakadu National Park) to Port Douglas in 12 hours. Alternatively, you can do a combination of car, flight, and shuttle; or drive. In April in Port Douglas, expect temperatures between 34°C during the day and 25°C at night. Cap off your sightseeing on the 18th (Thu) early enough to go by car to Cairns. Head to Village Gallery and Underart Galleryfor some retail therapy. We've included these beaches for you: Palm Cove Beach and Trinity Beach. Spend the 19th (Fri) among aquatic life with a scuba or snorkeling tour. Spend the 20th (Sat) wandering through the wild on a nature and wildlife tour. The adventure continues: hike along Esplanade Boardwalk and head off the coast to Michaelmas Cay. For maps, photos, other places to visit, and more tourist information, use the Cairns tour itinerary planner . Traveling by car from Port Douglas to Cairns takes 1.5 hours. Alternatively, you can take a bus; or take a shuttle. April in Cairns sees daily highs of 34°C and lows of 26°C at night. Finish your sightseeing early on the 22nd (Mon) so you can travel to Leura. Leura is a suburb in the City of Blue Mountains local government area that is located west of the Sydney central business district in New South Wales, Australia. Step out of the city life by going to The National Pass and Blue Mountains. Norman Lindsay Gallery & Museum and Gallery One88 will appeal to museum buffs. Step out of Leura to go to Blackheath and see Perry's Lookdown, which is approximately 32 minutes away. 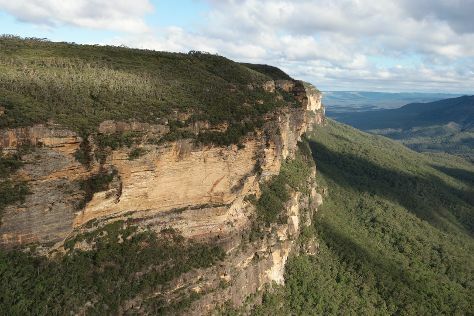 There's still lots to do: admire the sheer force of Wentworth Falls, view the masterpieces at Lost Bear Gallery, explore the galleries of Blue Mountains Cultural Centre, and take some stellar pictures from The Three Sisters. To see photos, where to stay, other places to visit, and other tourist information, read our Leura trip planner . You can do a combination of flight and train from Cairns to Leura in 7 hours. Other options are to drive; or take a train. In April, Leura is a bit cooler than Cairns - with highs of 28°C and lows of 14°C. 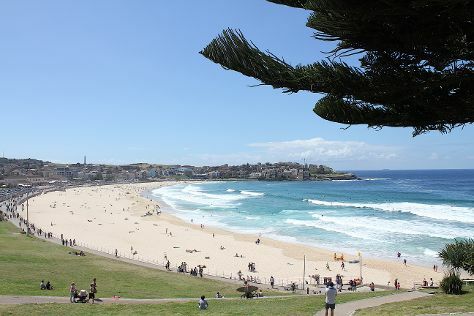 Cap off your sightseeing on the 25th (Thu) early enough to go by car to Sydney. Do your shopping at Sydney Fish Market and Queen Victoria Building. Museum-lovers will appreciate Australian National Maritime Museum and The Rocks Discovery Museum. The adventure continues: wander the streets of Darling Harbour, trek along The Opera House to the Botanic Gardens Walk, take in the views from Sydney Harbour Bridge, and kick back and relax at Bondi Beach. For maps, photos, more things to do, and other tourist information, read our Sydney day trip website . You can drive from Leura to Sydney in 1.5 hours. Other options are to take a train; or do a combination of train and bus. In April, plan for daily highs up to 26°C, and evening lows to 17°C. Wrap up your sightseeing by early afternoon on the 30th (Tue) to allow enough time to travel back home.